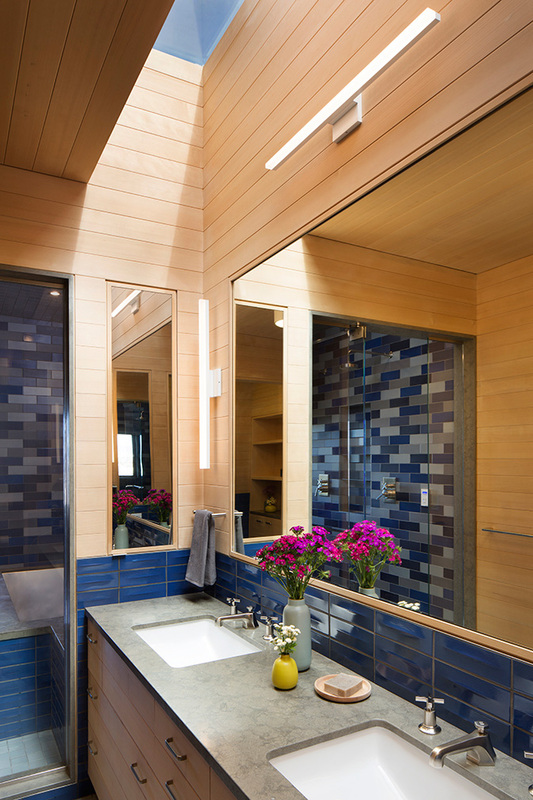 Master Bath Retreat — MODTAGE design. This Master Bath exemplifies what we love to do at MODTAGE design; creating a unique bespoke design for our clients, using natural and handmade materials with careful attention to their detailed & precise placement. 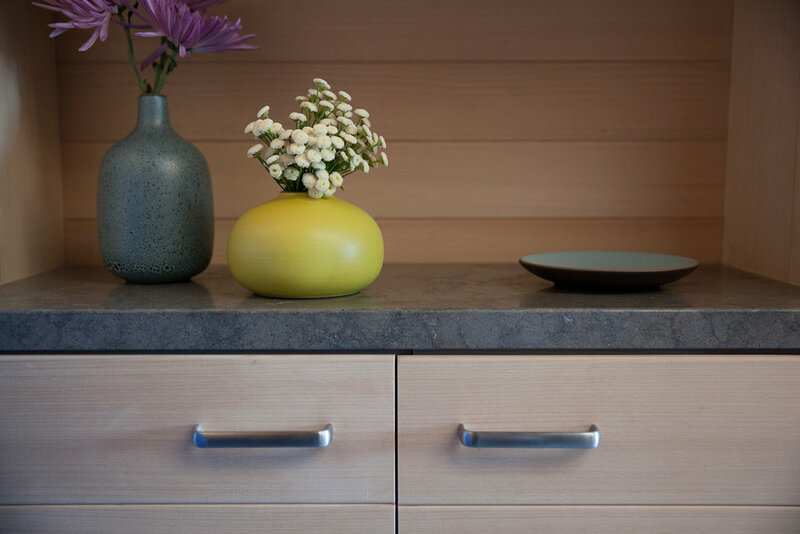 Natural cedar wraps the room providing calm and serenity, carrying the tongue & groove reveal from the walls to the face of intersecting custom cabinetry. 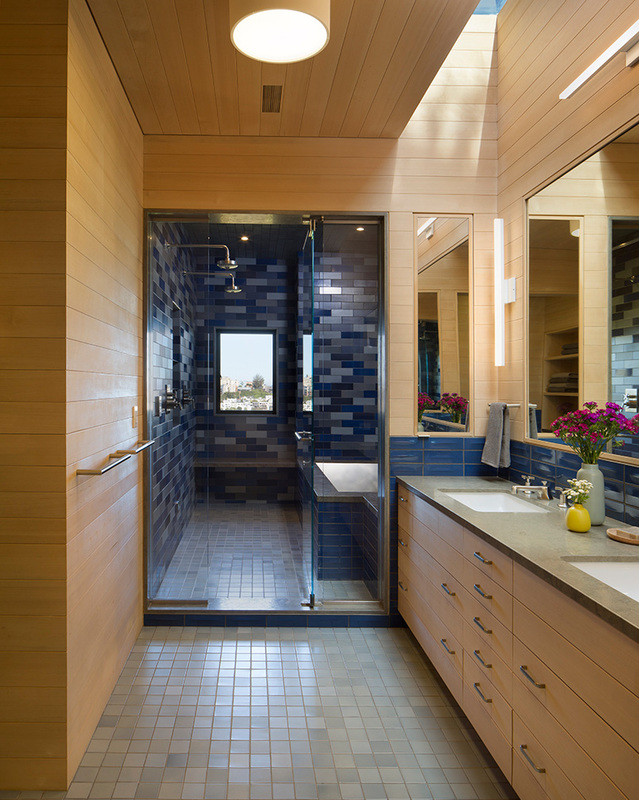 Concealed medicine cabinets flank the vanity to provide easy access for everyday items while the oversize skylight allows for an abundance of natural light. The steam room provides two showerheads, two benches and a stainless steel soaking jacuzzi tub to accommodate the entire family. An operable window supplies fresh air and views of the Bay. 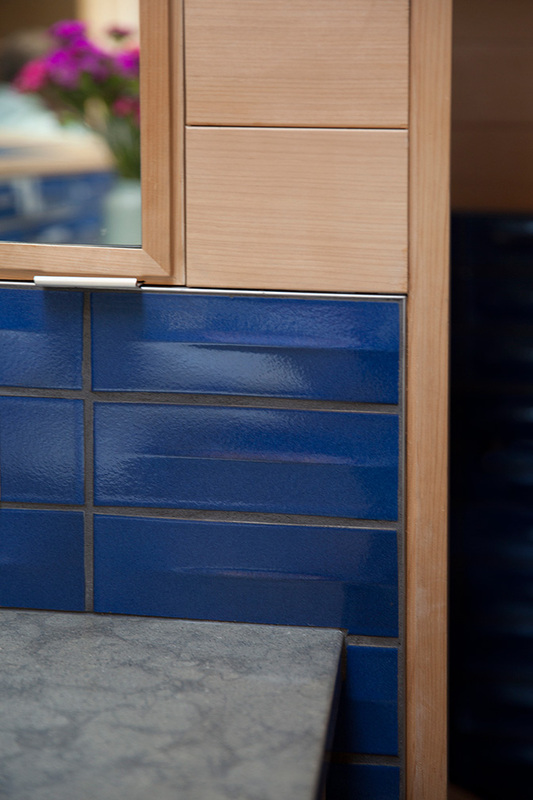 Local artisanal ceramic tiles are carefully laid out and evenly distributed to create a cohesive design. Working closely alongside our local team of professionals, every detail was considered and carefully thought out.